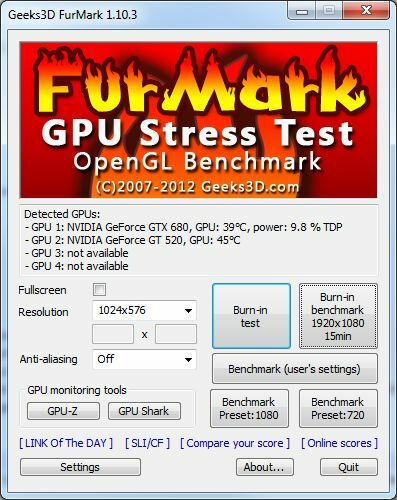 FurMark, the popular GPU burn-in utility, is back in a maintenance version. 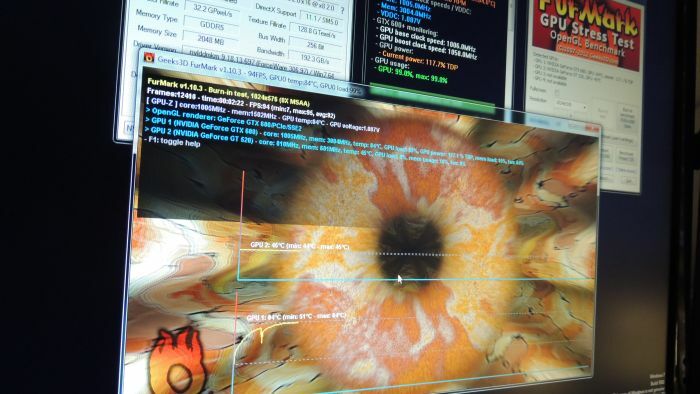 FurMark 1.10.3 adds the support of GTX 650 Ti, embeds the latest versions of GPU-Z and GPU Shark, and brings bugfixes. Why VDDC, Fan Speed(% and RPM) and Mem Load (Useful info also) missing from v1.10 and above in Info Display at the GPU section?? I tried to make a comment in the ozone3d.net forum but registration was closed. I got the same problem as bluesaber. When I try to log the gpu temp in the settings box and click ok, the program will crash (furmark….has stopped working). If I don’t log the gpu temp, the program seems to work fine. No error message in the FurMark_0001.log. I am running Windows 8.